Haunting, hypnotic, music to cast a spell by. Persephone's Bees' music is incredibly eclectic, fun, free and unique. Their new album 'New In Berlin' is being released as singles straight to fans. This song, 'Chanting', is the 8th single release off the new album. 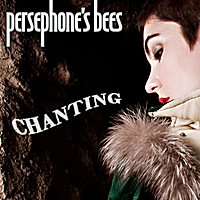 On each record Persephone's Bees have one slow dreamy song. Just like 'Home' from 'The Notes From The Underworld' that was featured in the TV show 'Sopranos', 'Chanting' is very soundtrack like. If you like music to dream to, to cry to , to drive to, to listen to while falling asleep this song is for you!